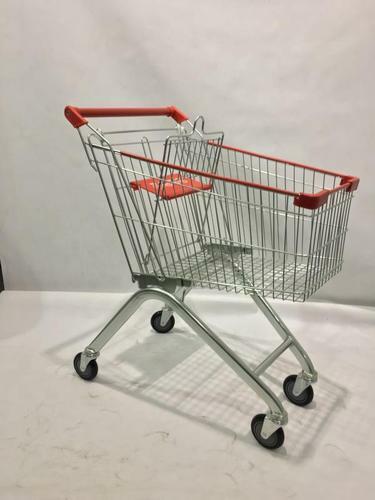 We offer Stainless Steel Shopping Trolley to our clients. “Micro Sheet Crafts (India) Pvt. Ltd.” is a well-known entity established in the year 2006, at Delhi, India. We are a prominent Manufacturer, Importer, Exporter and Wholesaler of a high-quality range of Fruits and Vegetable Racks, Supermarket Racks, Heavy Duty Racks, Modern Bookshelves, Shopping Basket and many more. We also provide Precision Sheet Metal Fabrication Service, Sheet Metal Fabrication Service, Custom Sheet Metal Fabrication Work. These products are manufactured by our highly skilled professionals in our sophisticated fabrication unit. Advanced technology and latest machines & equipment are used to manufacture these products in accordance with the international quality standards. The offered product range is extremely valued by our esteemed clients for its reliable performance, compact design, durability and longer service life features. These products are available in various dimensions and patterns as per the varied requirements of clients.